Ever since I learned that the story of Rapunzel goes back to the Italian tale of Petrosinella (1634), I couldn’t help picturing Rapunzel/Petrosinella as a dark, beautiful, Renaissance woman. So I did this little sketch on the computer. 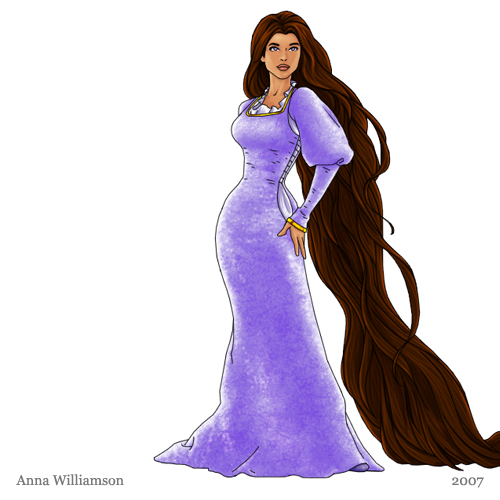 I like her with dark hair; Rapunzel is almost universally portrayed as a blonde.